Greensboro, North Carolina has roughly 34.6 restaurants for every 10,000 people, so a restaurateur needs every little advantage to differentiate himself from the next guy. 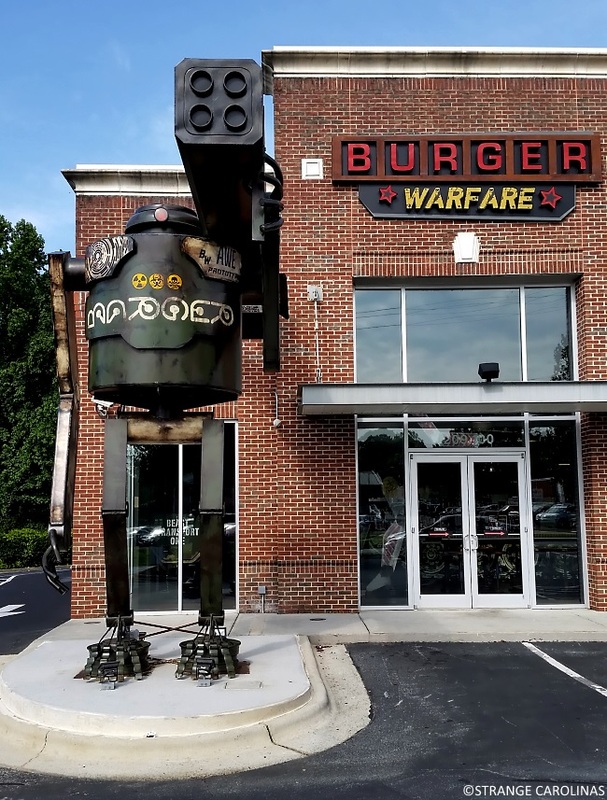 Enter Burger Warfare's giant robot. 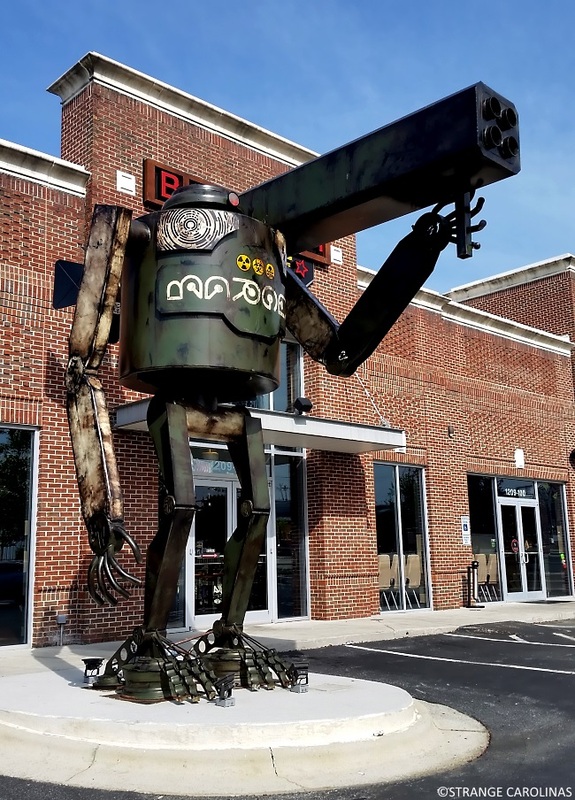 The building process for the first robot, the nearly 5,000-pound monster standing at guard facing Battleground Avenue, began at [DS Duggins Welding, Inc.], and he remembers it bringing a lot of publicity simply because of its size. "Just that piece outdoors got more publicity than any of the marketing stuff we've done - people drove by and asked a lot of questions," [Matt] Greene mentioned. 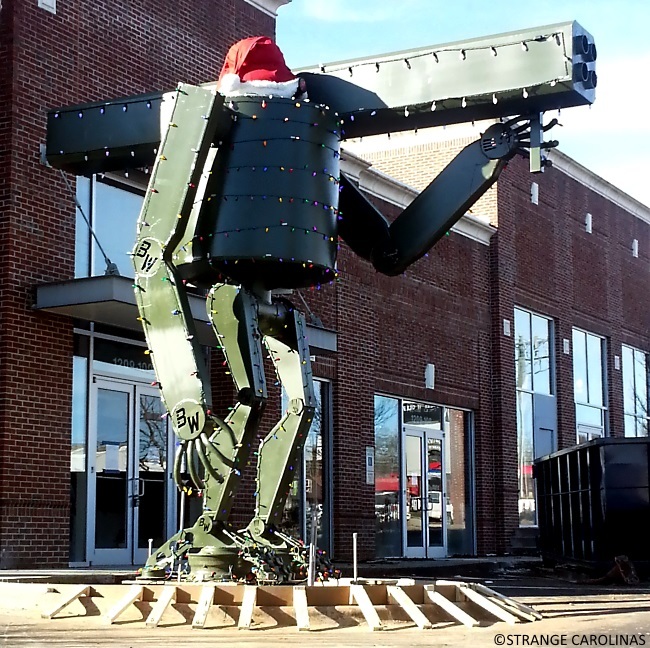 Yeah, he doesn't wear the Santa hat and Xmas lights anymore and he's a little more battle worn, but he's always been pretty cool. And as for the restaurant itself? I can't say. 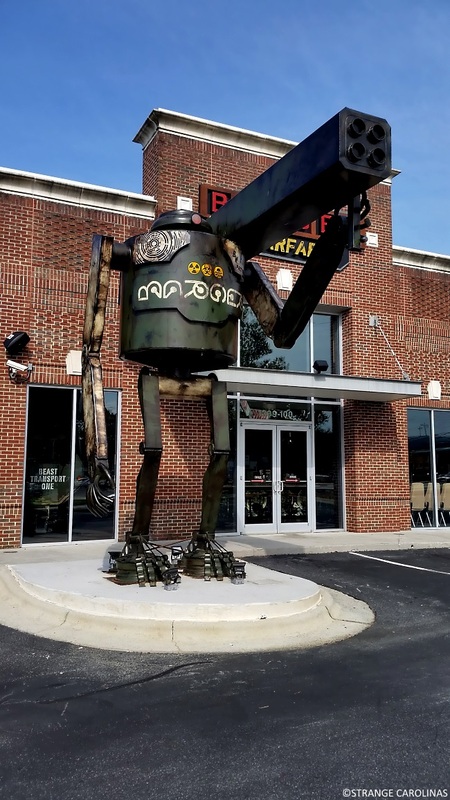 While I have been by several times to photograph the giant robot, I have yet to eat there. But any place with alcoholic milkshakes has to be very cool.